Vitaly Mutko has left his role as president of the Russian Football Union (RFS). Russian Football Premier League chief Sergey Pryadkin will act as president of the RFS until a permanent successor and new executive committee are elected on February 22, 2019. Mutko, who is a deputy prime minister under Vladimir Putin in Russia, last December took a break from his RFS position after receiving a lifetime ban from the Olympics by the International Olympic Committee. The 60-year-old, who played a key role in Russia's bid to host this year's World Cup, was accused of being involved in state-sponsored doping – allegations he denied. 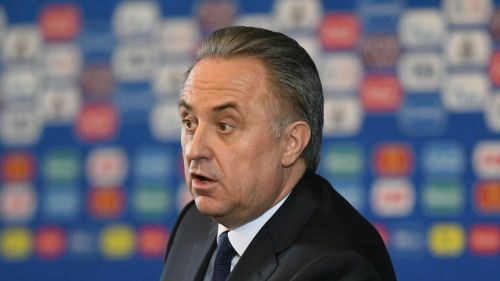 Mutko remained closely linked to the national team, attending a training session during the World Cup, and was present at an executive committee meeting in November, but on Wednesday it was confirmed he was leaving his role with the RFS. 2018: Top memorable and iconic football moments.